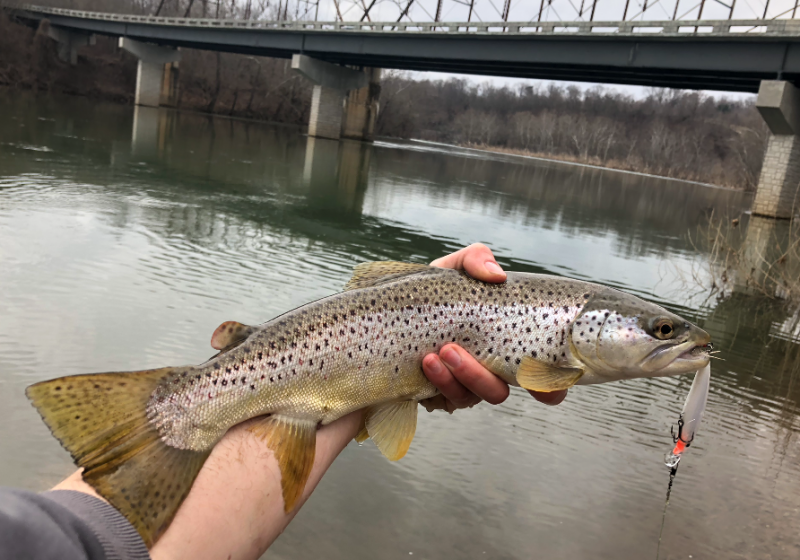 Didn't catch my musky today but I'm happy with a 18" brown trout considering that trout are very rare in the mainstem New River. That's one mighty fine invasive trash fish! One of my favorite spots too. FYI, Virginia Tech boat shocked the entire pool there yesterday and caught only one musky and no trout. Other large species shocked up were smallmouth bass, northern hogsucker, white sucker, and a lone Hybrid bass. Slim pickings this time of year. I'm just now seeing this, but I ate lunch at the Mexican place in Pembroke yesterday (and highly recommend it). Didn't get to fish, but I'll be heading over there soon.